In eighth grade I took my first graphic design class. I picked it up surprisingly quick. The pen tool just made sense to me. It took practice, of course. I took another class in 9th grade and then in 11th grade, I decided to do our 2 year vocational school for graphic design. Most of my classmates were in it for a easy A (they learned pretty quick that there’s not much that’s easy about adobe). I was one of only 2 people in our whole class that passed the NYS certification. Then I went to nursing school, became a nurse and 9 years later I’m a work from home mom and blogger. Picking up graphic design again wasn’t exactly like riding a bike. I remembered photoshop and illustrator okay, but it was taking forever, not to mention there were a lot of new programs like InDesign that I wasn’t familiar with. Not to mention I had a tight budget to grow a business with (or even buy groceries with) and that free trial wasn’t going to last forever. I spent a lot of time googling “free equivalent to adobe illustrator”, and I tried a bunch of programs. Soon I was making everything from social media graphics to products. Not only could I create them much faster, but it was significantly easier once I got the hang of it. I soon was making enough money to upgrade to Canva from Work and that is by far the best investment I’ve made in my business. Other than email, Canva for Work gives me the highest return on investment. BTW, you might find our Canva 101 Workshop to be a helpful place to get started! Learn more at the end of this article! Let’s talk about things you can easily make in Canva. I often see people struggling to make the product they have in mind. They have the idea but can’t seem to figure out how to get it on the screen in Canva. Seriously. It might take some creativity but you can create almost all digital products for next to nothing, including amazing printables that will generate revenue for your blog in no time! 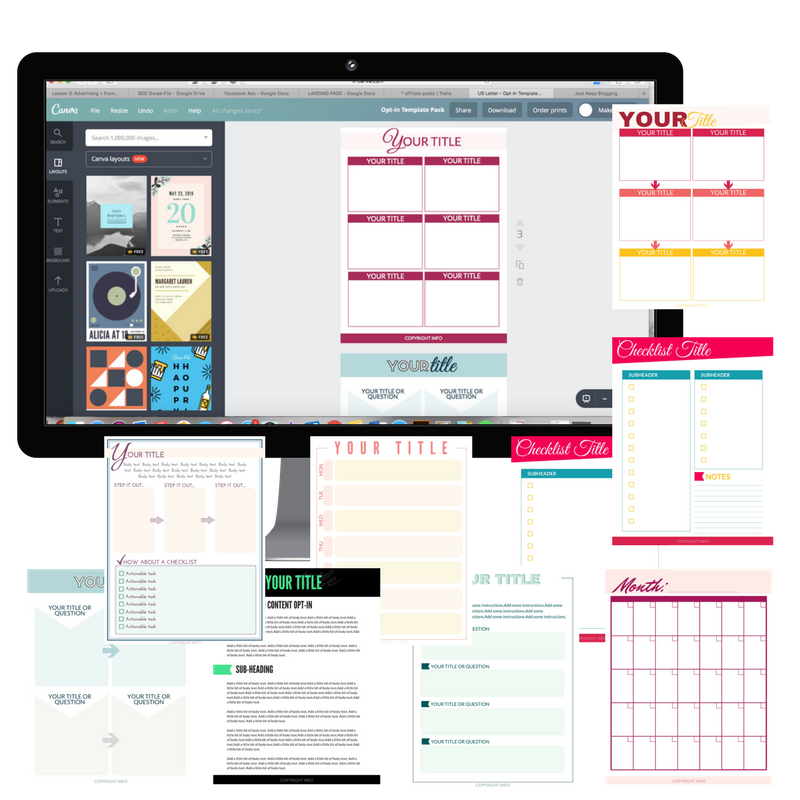 You can even use our FREE done-for-you social media templates! Just plug-in your amazing content and add your brand’s colors – that’s IT! 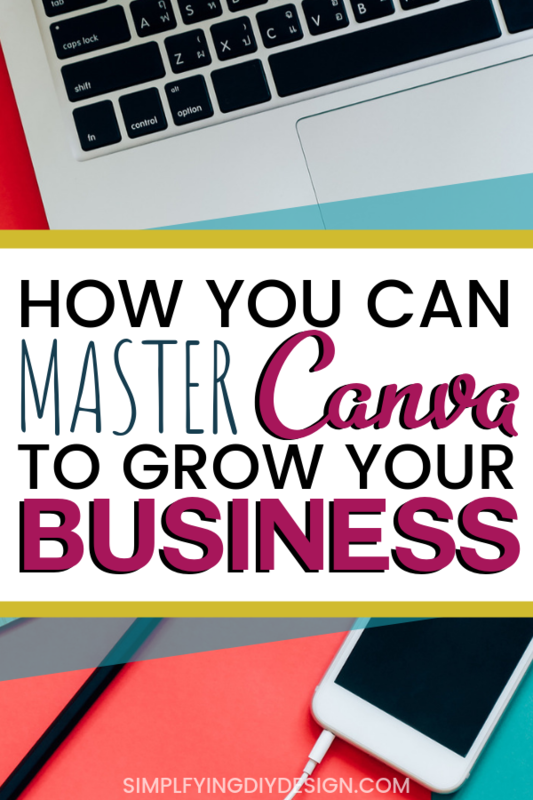 Canva at Work, in addition to free tools like Preview (the default photo editor on Mac), and google drive can do almost anything you need to be done for your business. You can even use your brand’s typography in your Canva graphics with ease! Don’t know how? I do offer one and one coaching to walk you through the process. We can go through Canva and I can literally help you create whatever product idea you have and give you actionable steps to help you create an amazing, income generating (or lead generating) digital product. 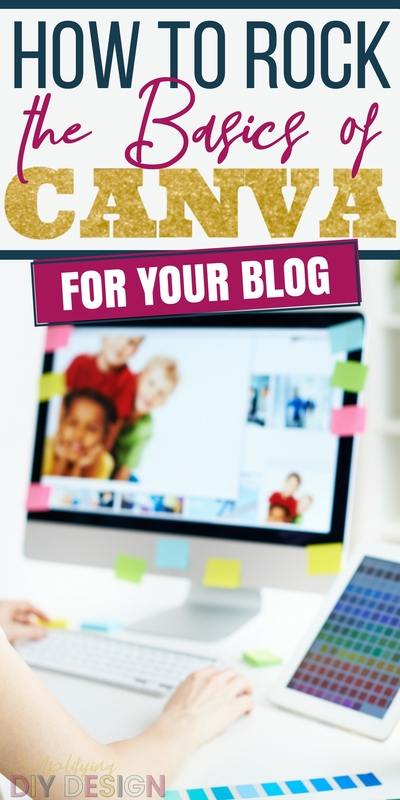 We also have a Canva 101 Workshop, a free course to help you nail the basics of Canva. Sign up for free at the bottom of this post! Like when you get everything lined up and then save it and nothing is lined up. Or when you try to make a chart and there’s just no easy way. Tip: Watch our video tutorial in the resource library or in our quick start course because we actually figured out a pretty easy way! The video tutorial is in our FREE design resource library which you can get access to on this page. And how about when you need to make lines but you just can’t get them even and they look weird. I know for a fact how long it takes to master a program like adobe. You don’t have that kind of time. I totally get that. When you are a blogger- time is money! I don’t know about you, but I have two small kids, my work time is limited. So, I need to focus on what is going to make me the MOST amount of money in the LEAST amount of time. And that is products and passive income (like through affiliates). 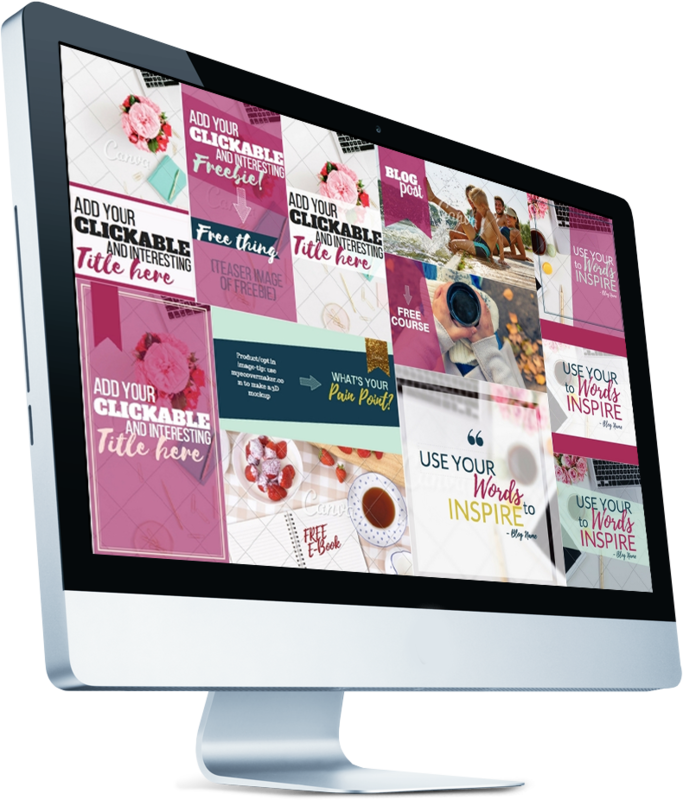 Using Canva is the perfect way to rock graphic design in a simple way. Reduce the overwhelm! This doesn’t have to be hard! I’ve been watching and listening. 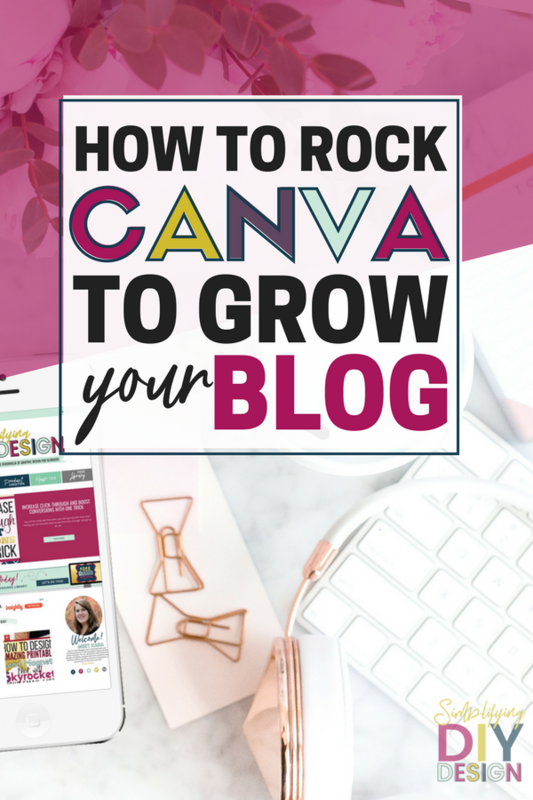 I want to help you ROCK Canva, but it’s just easier for me to show you! Register for our FREE Canva 101 Workshop (just fill out the form below!). Fill out this design survey so I can make tutorials based on what YOU want to know! 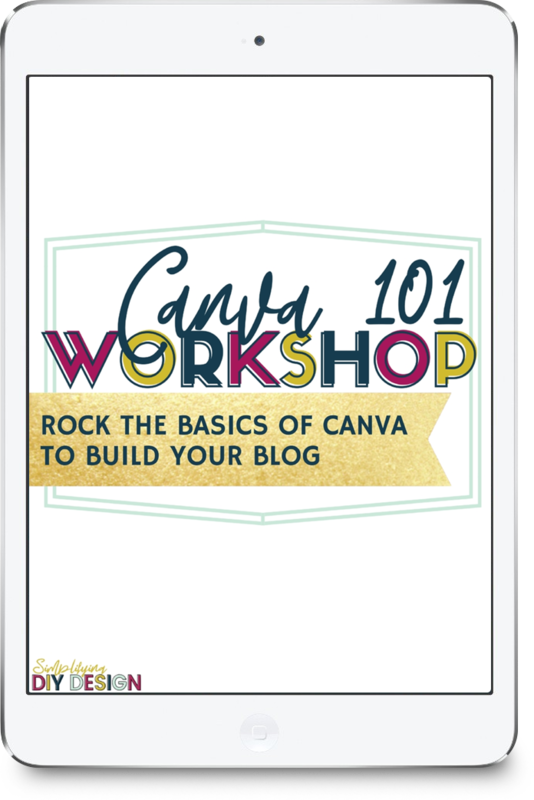 FREE CANVA 101 WORKSHOP- ROCK THE BASICS OF CANVA IN OUR FREE COURSE! Just fill out the form to get enrolled for free in our Canva 101 Workshop and start learning the basics of Canva. Everything will be so much easier when you have a solid foundation! 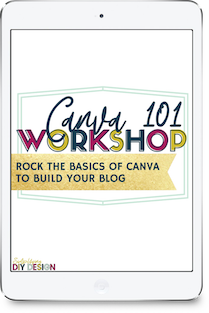 SIGN UP FOR FREE CANVA 101 WORKSHOP! Learn how to design in Canva + Canva tips and tricks! In addition, you'll be added to our email list and get access to our free design library of Canva templates! Will this benefit a Pinterst Affiliate without a blog? Thank you for this! I have been using Canva since I started my blog about a month ago but I know I have not even scratched the surface of what I can do. I will be signing up for the workshop tonight! Awesome! I’m excited to hear what you think! You are my new best friend! Thank you for this great post! Passing it on to others as a great resource! I’ve been working in Canva for a little while since I launched my blog in March. Think I’m ready for Canva For Work! Awesome! It’s worth every penny! Thanks! Canva isn’t free, it’s asking payment to remove their watermark. Their premium elements generally cost $1, these can be removed or swapped out to avoid payment.